Jane Wang G follows along in her music while singing Haydn’s “Theresienmesse” Bass in B flat major. 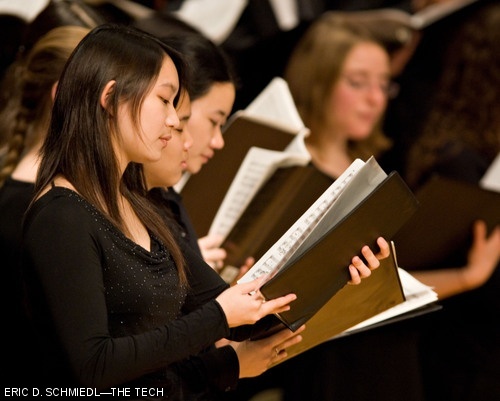 The MIT Concert Choir also performed Benjamin Britten’s “Festival Te Deum” on Saturday, Dec. 8. The Theresienmesse, named after the Empress Maria Theresa of the Two Sicilies, is thought to have been first performed on Sept. 8, 1799. Britten’s “Festival Te Deum” is somewhat more recent, having been composed in 1944 for the centenary of St. Mark’s Church in Swindon, England.